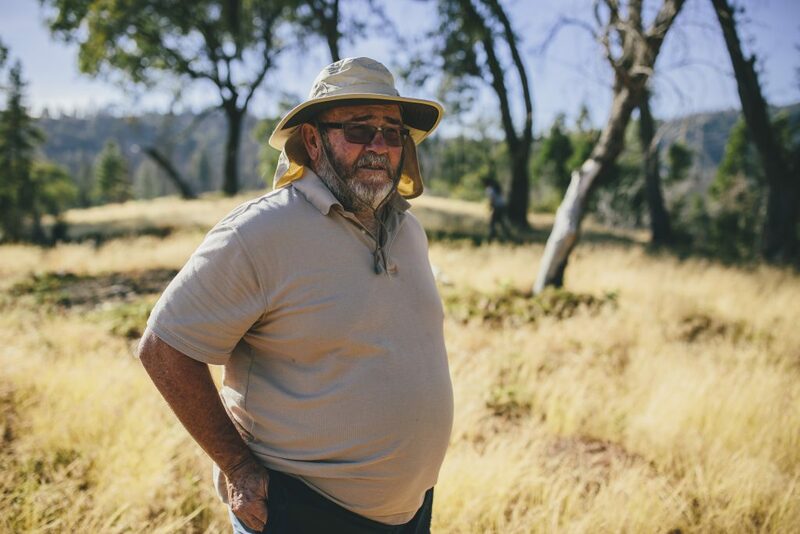 In late September 2018 I traveled the length of California’s southern Sierra Nevada mountains photographing and interviewing environmental justice activists for California Wilderness Coalition (CalWild), in partnership with Peak Design. 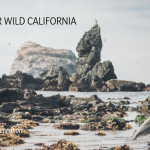 CalWild is a grassroots organization that builds coalitions to support permanent protection for California’s wild places, lobbying Congress to designate federal lands and waters as wilderness areas and wild and scenic rivers, respectively. A tough job in today’s political environment. The southern Sierra Nevada is an iconic landscape of high granite peaks, rugged river canyons, forests of giant sequoias, and foothills clothed in oaks and grasslands. 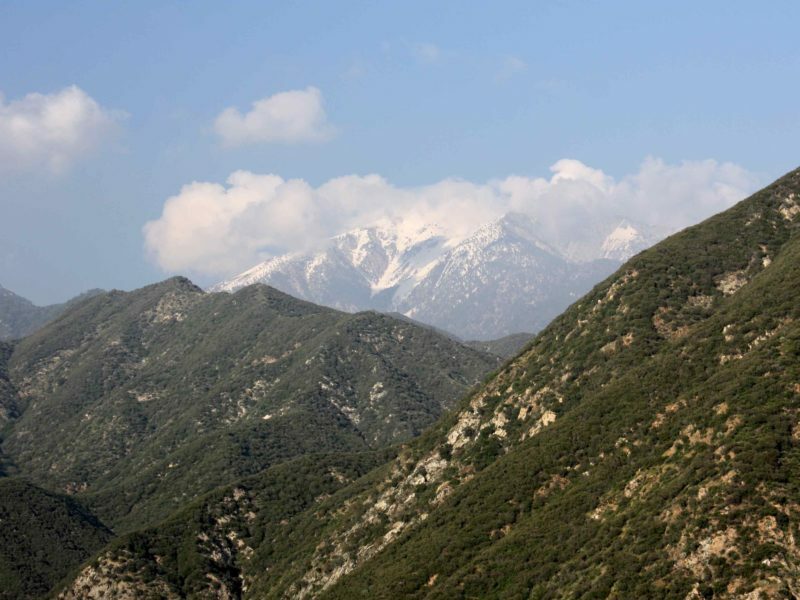 Some of the public lands in this magnificent region have been protected with the establishment of the Kings Canyon-Sequoia National Park, Giant Sequoia National Monument, expansive wilderness areas on National Forest lands, and wild and scenic rivers like the Kern and Kings Rivers. Most of the water from this region flows downhill from these wild rivers to the southern Central Valley, where it is used to grow crops and provide drinking water to local communities. I often think of California as the country’s leader on environmental policy, especially as it pertains to climate change. What I found in the foothills of the Sierras and the Central Valley—the “Breadbasket of the World”—was a community struggling with ideology, a widening gap between rich and poor, and a literal “reaping of what had been sown” after decades of unsustainable agricultural practices. Water rights are fraught, oversold, and often left unfulfilled after years of declining rainfall. 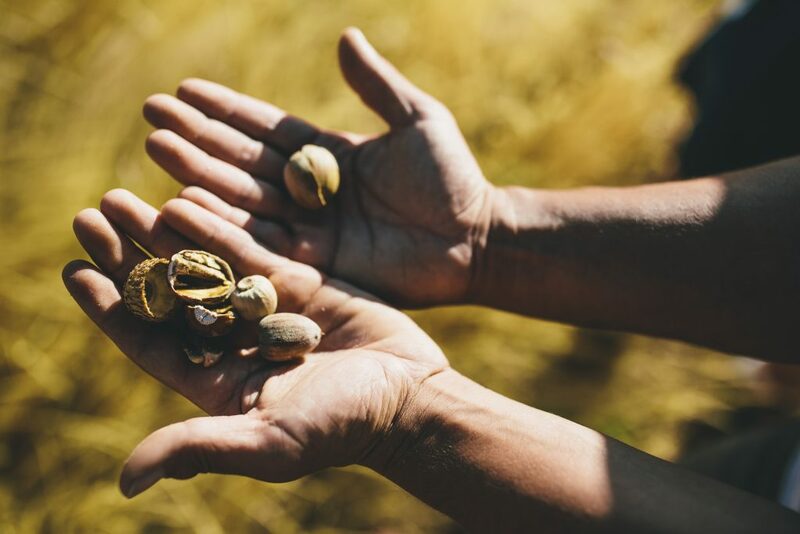 At a time when the impoverished population of the Central Valley struggles for access to clean drinking water, industrial agriculture giants squeeze ever more profits by drilling deeper wells and planting more water-intensive pistachios and almonds. California—the world’s fifth largest economy with an estimated GDP of over $2.5 billion—is struggling to decide what to prioritize: it’s role as agricultural superpower, or the basic needs of its nearly 40 million citizens. While this conflict plays out, the dire implications of climate change are sinking in. There is an uptick in heatwaves, persistent drought, epic wildfires, and an overall increase in temperature by two degrees since the beginning of the 20th century. Meanwhile, federal budget cuts and recurring government shutdowns have reduced the ability of federal agencies to manage and protect these lands, and resulted in National Forest road and campground closures. And the Trump Administration is pushing for more logging and even considered eliminating the Giant Sequoia National Monument, which was established by President Clinton 18 years ago. 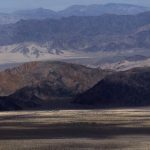 In 2017, CalWild and their allies helped rally to defend this Monument (and six others in California), which are still subject to the lingering effects of President Trump’s national monument review. But in spite of all these challenges and in a time of record divisiveness, the diverse group of activists that I met on my tour of the foothills and valley kindled hope in my heart. These are the people who recognize the problem we all face and find themselves unable to sit by and do nothing. It is a warm night in late September when I land at Fresno Yosemite International Airport. I had booked a compact rental car but somehow end up with a Ford F150 and drive the ninety minutes to Springville, California. 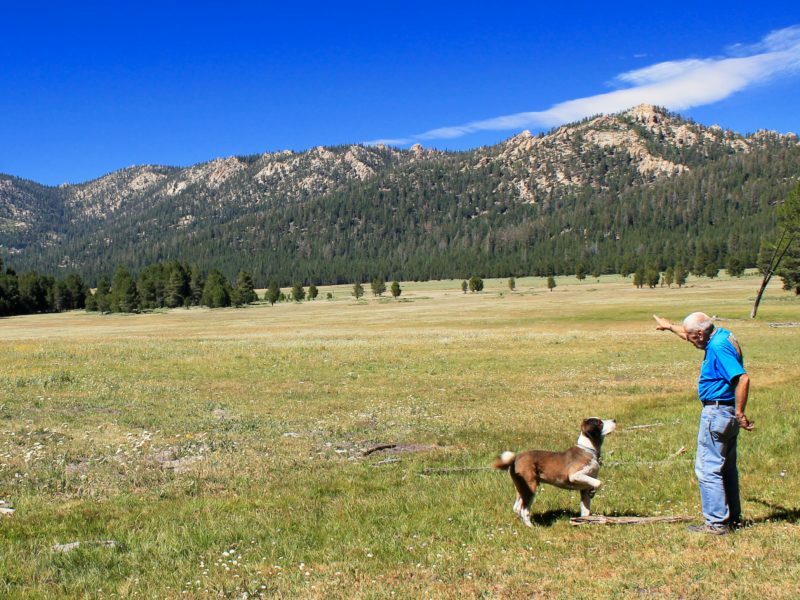 The sprawling Wildplaces compound is located at the base of Grand Sequoia National Monument, along the Middlefork of the Tule River. 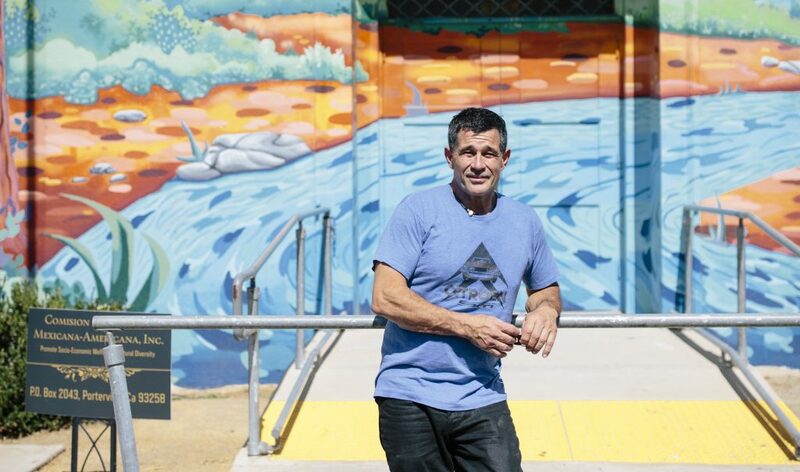 It serves as home and office of WildPlaces director and founder Mehmet McMillan, as well as a temple of sorts, a place to revel in the glory of nature. In 2015 the Community Water Center tested the water coming from Cristobal Chavez’s new well. It was off the charts for nitrates—four times the safe drinking limit. “We didn’t know the water was contaminated,” says Chavez. From WildPlaces, I head twenty miles east to East Porterville—considered the epicenter of California’s historic drought—to meet with Ryan Jensen of Community Water Center. It was here, back in 2014, that three hundred wells ran dry (2,000 total in greater Tulare County). 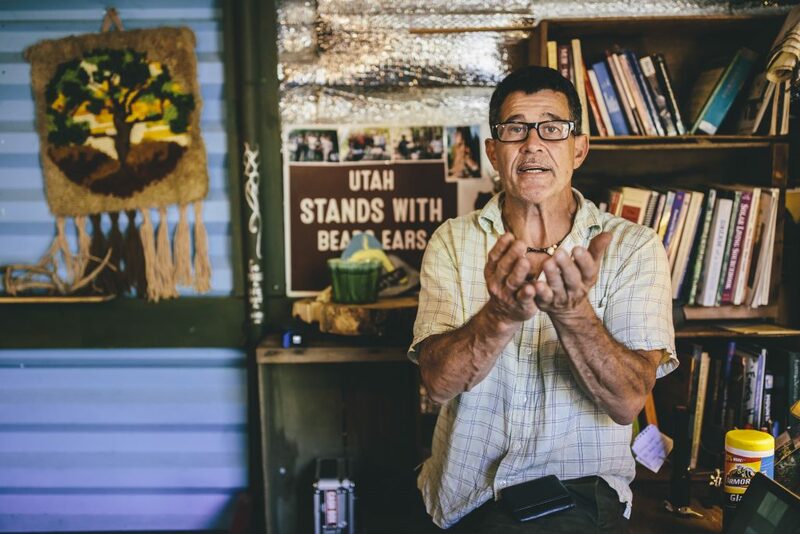 I jump in the car with Jensen and we head to the home of Cristobal Chavez, a clean drinking water activist who has been working with Community Water Center since discovering that his family’s water was contaminated. The views out the window as we drive are a study in contrast. On the left we pass leafy green, irrigated orchards. On the right, the bone-dry lots of prefabricated homes. Community Water Center, an environmental justice non-profit, has been working in the San Joaquin Valley for over ten years. “Here you have a perfect storm of source water contamination, communities who don’t have the resources or capacity to deal with these problems, and an unresponsive leadership,” Jensen explains. As we travel through miles of irrigated agriculture, he tells me that cows outnumber people in many of the surrounding counties and that groundwater is contaminated with nitrates from fertilizer and pesticide residues. Ninety percent of local communities depend upon that very same groundwater as their sole source of drinking water. When you’re dealing with disadvantaged communities and latino farm workers you have the added complication of language barriers, which makes it difficult for people to engage with their local elected officials—from the water board all the way up to the state assembly. “Community Water Center builds the capacity of community members to assert their rights and engage with decision makers so that they can have safe drinking water and leadership that is responsive to their needs,” Jensen tells me. The Central Valley typically receives a huge amount of water in the form of runoff from the Sierra each spring and summer. During the historic drought—from 2014 to 2017—farmers didn’t get their surface water deliveries and California had no regulation of groundwater resources on the books. So farmers drilled deeper and more powerful wells to make up for the loss of surface water, further depleting the aquifers. In East Porterville, the Tule River ran dry two years in a row. The aquifer was not recharged. Wells dried up. In 2014, the Chavez’s family well, like many others, ran dry. “We didn’t want to lose our water. I’m a foster dad and have six kids. We can’t move because the kids couldn’t come with us—can’t go nowhere.” Chavez had no other option than to drill a deeper well. “I paid $15,000 for a deeper well. They were supposed to go down two hundred and fifty feet, but they only went ninety.” Just deep enough for water to flow. In 2018, the Safe and Affordable Drinking Water Fund failed to pass. This would have set up a recurring annual fund by placing small surcharges on Californian’s water bills and a mill levy tax on nitrate fertilizer production and dairy operations. It would have generated $140 million dollars annually. “That’s the scale of the problem,” says Jensen. “It would have filled two huge funding gaps: operations and maintenance of public water systems, and private homes dependent on domestic wells.” Currently there is no funding to subsidize the cost of treating contaminated drinking water. Even if “Big Ag” stopped using nitrate-based fertilizer today, there is the issue of legacy contaminants. Some people think it would take up to 120 years to clear nitrate contaminants from the aquifer. 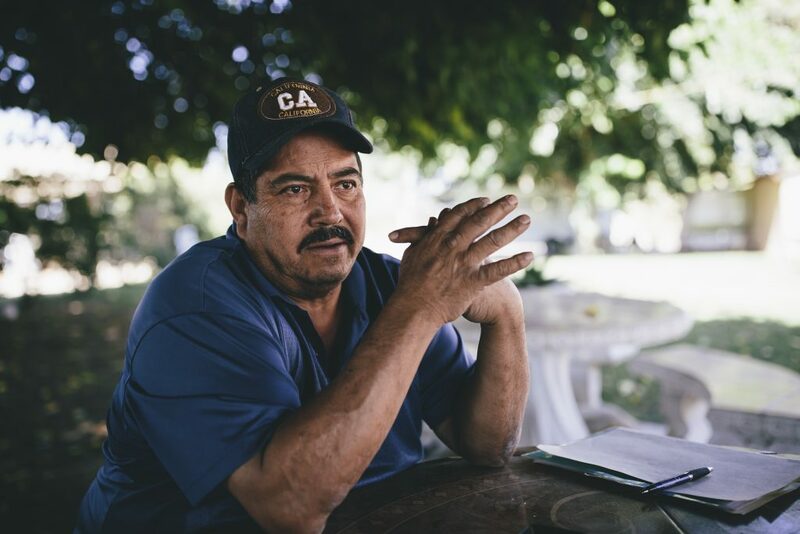 “At the level of contamination of the Chavez’s family well, there is no in-house treatment certified to reduce the nitrates to a safe level,” Says Jensen. In a huge departure from previous management strategies, The Dinkey Collaborative recognizes fire as the dominant ecological process influencing the ecosystem. They are working on a plan to promote resiliency through the use of prescribed burns, mechanical thinning, and general watershed improvements. 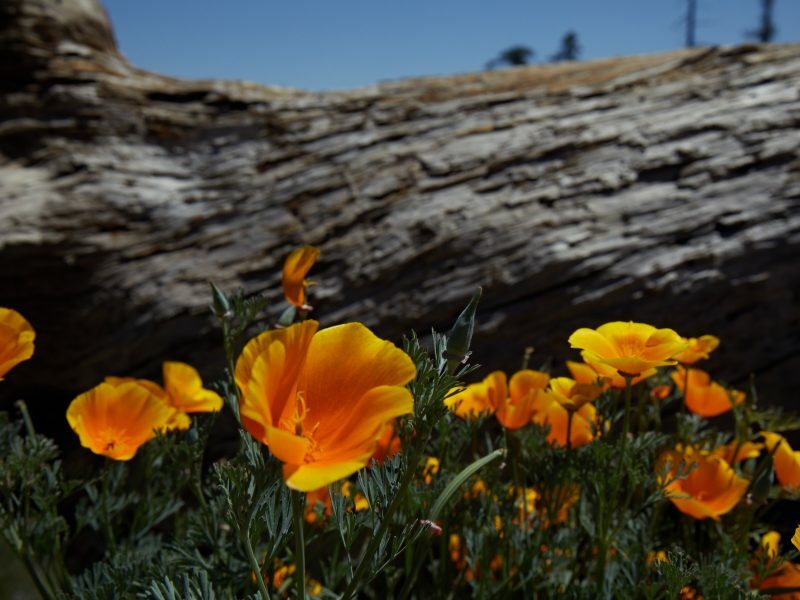 The hope is to restore a heterogeneous, fire-adapted forest that is resilient to insect and disease, climate change, drought, invasive species, and air pollution. We leave Ashley’s house, piling into his old Isuzu Trooper, and drive into the Forest. 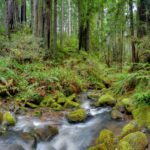 Climbing into the Sierra Nevada, the topic of conversation shifts to tribal engagement in the Sierra National Forest. “The native community has so much wisdom but they speak in a way that makes the Forest Service uncomfortable. So we are not heard,” Gutteriez says. “ My goal has been to learn to speak in a way that gets us heard.” Gutteriez is a Mono Indian. His tribe managed the Forest with fire long before the Forest Service arrived. Standing in this grove of black oaks in the Sierra Nevada, I’m made aware of the incompleteness of our understanding of natural systems. It strikes me as an argument for designing our forest management plans with a healthy dose of humility and tolerance for natural phenomena, as well as the importance of receiving input from all interested parties, especially tribal communities, the original stewards of the forest. To be clear, Lodge has much at stake. In the 1860s her great great grandfather was deer hunting in the area, bumped into a miner, and ended up trading his rifle for a gold claim. The mine was one of the biggest producers in the area and the family has lived on the property ever since. When Friant was completed in 1942, Millerton Lake flooded a portion of the family property. “It cut our property in half. So, they gave us more land further up the hill. My dad built the adobe home that I live in now at the high water mark of the current reservoir.” If they build the dam, the Lodge family would be forced to relocate a second time. So who wants this dam? According to Lodge, it’s mostly water districts—‘Big Ag’. “A handful of people will make an awful lot of money off of this water if they ever build this thing,” says Lodge. The San Joaquin River Gorge Recreation Area and adjacent public lands are some of the last, undeveloped places in the foothills of the western slope of the Sierras. It’s crucial, protected wildlife habitat that has no access by motor vehicles and is home to more than twenty-four sensitive, threatened, or endangered species. Stepping off the path, we ease our way down a steep pitch, eventually lowering ourselves from boulder to boulder into the top of the Millerton Caves. Relatively unknown, this system of granite caves is nearly a mile long, and was sculpted over thousands of years by an underground stream. “There’s a nearly religious belief in the San Joaquin Valley that more dams means more water,” Lodge says, her voice echoing up to me from deeper in the cave. In the seventy-five years that the Friant Dam has existed, the water has only exceeded the storage capacity of Millerton lake five times. So why build a larger reservoir? Anita Lodge at an entrance to Millerton Caves, which would be submerged if the Temperance Flat Dam is built. Popular with spelunkers, it is a unique and notable example of a cave carved out of granite bedrock. 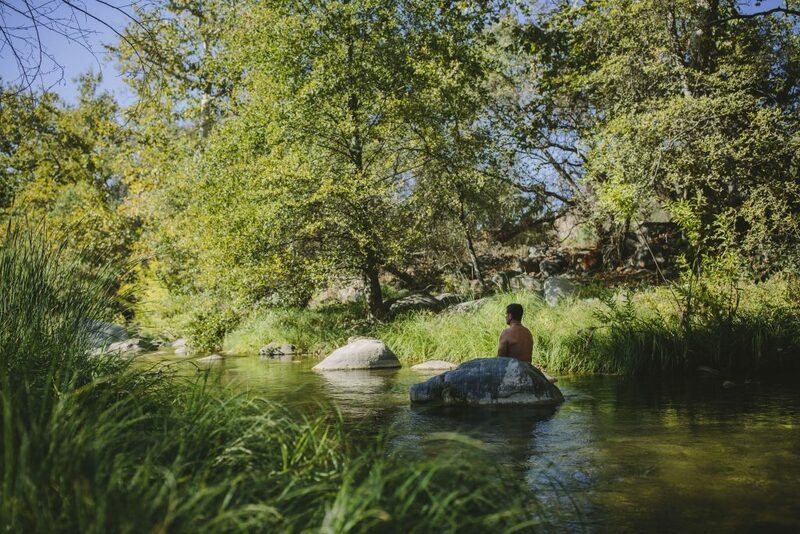 CalWild recently declared the San Joaquin River Gorge to be one of the top five most threatened wild places in California. It’s a strange situation. Farmers, environmentalists, politicians—everyone seems to have a different idea of what should be done with the water that flows through the gorge. Even the federal government can’t make up its mind. While the Trump administration’s Bureau of Reclamation continues to push for the proposed Temperance Flat Dam, the Bureau of Land Management recommends a stretch of river just upstream from the Millerton Caves for National Wild & Scenic River status. One agency suggests drowning the gorge under a reservoir, while another bestows its greatest degree of protection upon it. 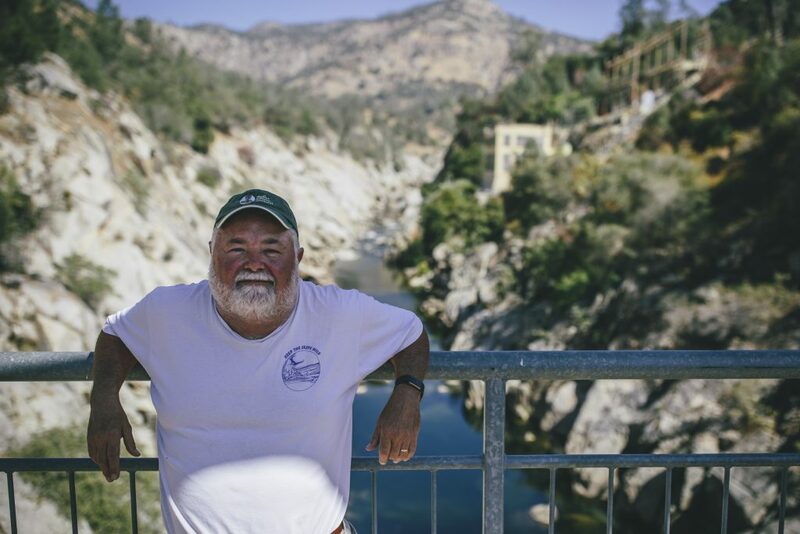 According to Steve Evans—CalWild’s Wild Rivers Director—the proposed dam is “costly, produces little water, drowns the spectacular San Joaquin River Gorge, and costs taxpayers billions of dollars.” Best case scenario—on a high water year—the new dam would increase water storage by a paltry 1%. “The San Joaquin is a fully appropriated river,” Evans tells me, noting that the river often runs dry just downstream of Fresno. Dams aren’t magic; they don’t create more water. It’s estimated that the state has over-allocated water rights in the San Joaquin River basin to the tune of 861% already. If you can’t make more water, you have to start using what you have more sustainably. The Central Valley seems to be in a state of denial, still unwilling to make the necessary tough decisions. The Lodge family is once again faced with the prospect of losing their land to the unquenchable thirst of industrial agriculture. And this is a drop in the bucket when compared to the loss felt by Native Americans who still have no water rights and continue to see their cultural history drowned beneath short-sighted and ecologically unsound water practices. Mehmet McMillan in the elements. 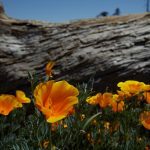 The environmental predicament in the Central Valley serves as a case study—a microcosm—of how we, as a species, understand life and our role within the natural world. How do we correct environmental damage and mitigate further destruction? Do we continue to put band-aids on the problem, pouring billions into dubious construction projects unlikely to benefit those in need? Do we hold out for some future technological solution to our ever-worsening problems? Or, do we shift the paradigm to include all species, to recognize the intrinsic value and rights of all living things? Can we find balance and harmony by reevaluating our self-designated position of supremacy within the ecosystem? There is hope for the Central Valley. These activists, nature lovers, and social justice advocates are hardworking, clear thinking, and passionate—but somehow a greater degree of cohesiveness must be fostered. Just as economic drivers unite people in the destruction of the environment—intentionally or otherwise—those of us who care to see it protected must unite. The restoration of the planet will require a profound shift in human consciousness. This is only possible if we achieve greater organization and band together as a powerful force for sustainability.